It’s hard to get excited about Tim Burton as a director these days. Over the last few years, the creator of Beetlejuice, Ed Wood, and Mars Attacks! has seemed to sleepwalk through his films, applying what amounts to a gothic Instagram filter over forgettable movies like Alice in Wonderland, Dark Shadows, and Miss Peregrine’s Home for Peculiar Children. Once the filmmaker’s uniquely offbeat aesthetic started gaining mainstream success, it’s like it became sterilized, with its endearing rough edges and retro, childlike joy getting processed into the least interesting version of itself. With that Burton-fatigue in mind, it would be easy to preemptively write off Dumbo, Burton’s entry into Disney’s series of live-action remakes, as another in a long string of bland late-period duds. While Dumbo does largely feel like what you’d expect, there are a few touches of the old Burton magic still poking through. It’s just enough to help the movie come to life in its last half, and to suggest there’s still some good, weird energy left in the film’s director. 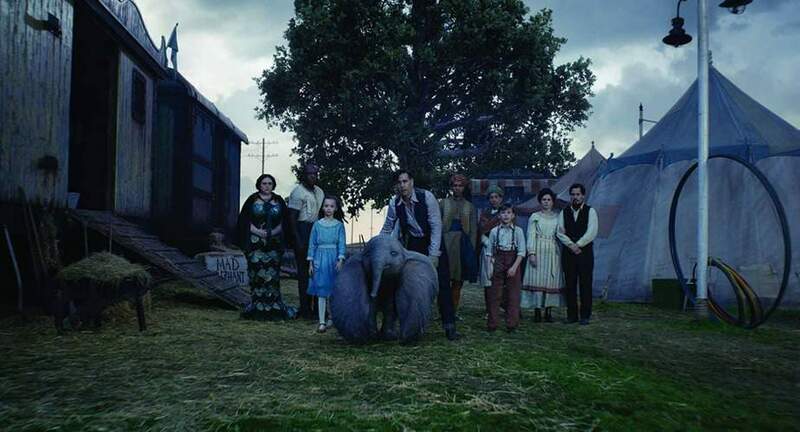 The live-action Dumbo expands a bit on the animated classic about a sweet, large-eared flying elephant (it has to — the original is only 65 minutes long). 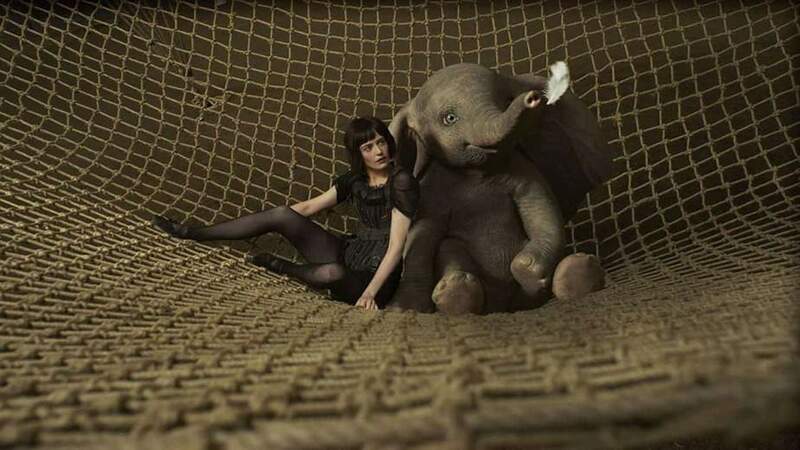 The basic story beats are the same: Dumbo is born at a traveling circus, and is quickly separated from his mother when she accidentally attacks circus-goers while trying to protect her baby. After discovering he can use his oversized ears to fly, Dumbo uses his ability to rescue his mother from captivity. This time, however, the plot is placed in a new framework. 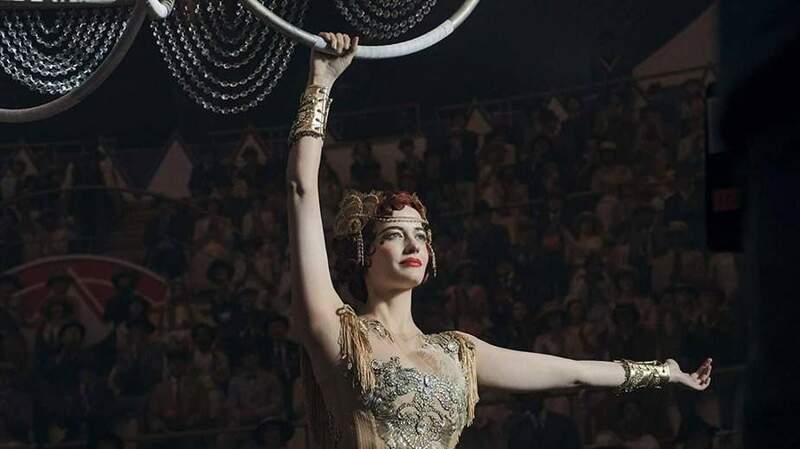 The human drama centers on the Farrier family, who work for the Medici Brothers Circus. Science enthusiast Milly (Nico Parker) and her little brother Joe (Finley Hobbins) just lost their mom to influenza. Their widowed dad Holt (Colin Farrell) is a former trick rider who lost his arm in WWI, and now takes care of the elephants for head honcho Max Medici (Danny DeVito). 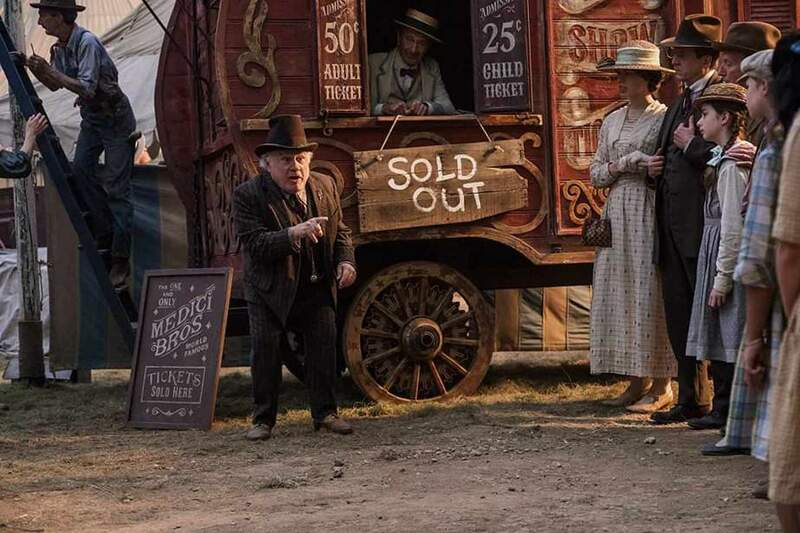 Dumbo’s unique talent attracts the attention of impresario V.A. Vandevere (Michael Keaton), who tempts Max and the circus to come to New York. There, Dumbo is slated to be the star attraction at Dreamland, Vandevere’s sprawling theme park. But, as you might have guessed, there are some major strings attached. It helps that the film keeps the original animated character’s big blue eyes, which perpetually look like they’re on the verge of welling up. It’s not hard to feel sympathy for the little guy when we can so easily see his fear, sadness, and joy. While the first half of the film feels a little generic, once Keaton shows up, things get much more interesting. His flashy showman, Vandevere, is over-the-top fun, and Keaton delivers his goofy lines with a kind of self-aware glee. His arrival kicks off the second half of the film, and it’s here that we start to see a few glimmers of hope. The theme park Vandevere runs, Dreamland, feels just a little like a commentary on a certain magic kingdom that both built up Burton’s career and helped dull it down. This is also where a few recognizable flourishes show up to remind us of the mind running the show. There’s a monster-themed “Nightmare Island” attraction featuring creepy creatures that would look right at home in Burton’s beloved old-school monster movies. The uncanny automated mannequins in the “Wonders of Science” building likewise feel like visions from an earlier era in Burton’s career. Once Dumbo kicks into gear, it’s a perfectly enjoyable piece of filmmaking. However, it takes quite a while to get there. A continuing problem of Disney’s live action adaptations of their animated films is that they seem to squander the considerable talent they hire behind the camera by requiring these movies to basically be note-for-note remakes. They’re missing a great opportunity to have these familiar stories reinterpreted by filmmakers with a unique perspective. 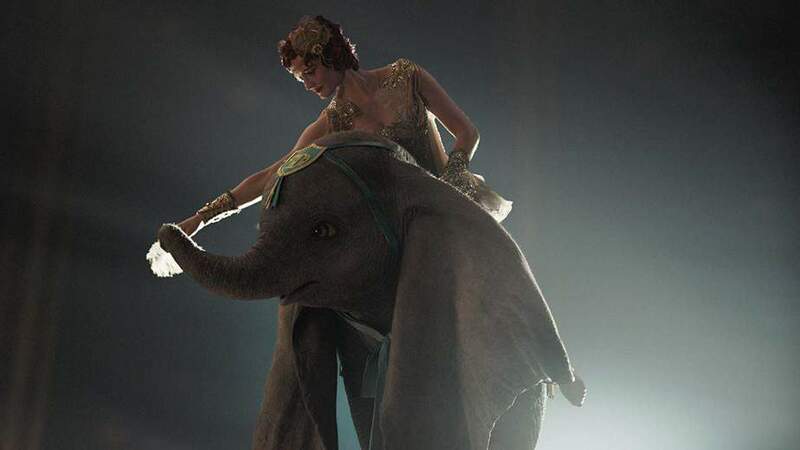 Dumbo does make some departures from the original, and it’s as close as we’ve come so far to experiencing what’s possible with these remakes. However, for the first half of its nearly 2-hour running time, the movie feels like anyone could have made it. With the exception of DeVito, Keaton, and a much-welcome cameo appearance from Alan Arkin, the movie’s central performances feel lifeless. It’s important to note that those highly entertaining performances mainly show up in the second half. That means there’s not much to buoy us along until things get going — so up to that point, Dumbo can feel like an endurance test, one that’s only barely worth the payoff. Dumbo is just entertaining enough to suggest that there’s still life in Tim Burton’s creative output. It’s great to see some flashes of creativity, however brief, from someone who’s been in danger of burning out for the last several years. However, those flashes aren’t quite enough to save the movie from the bland visuals and performances that dominate most of the film. For Burton superfans, it’s an interesting addition to his later-period work. However, for most of the rest of us, there’s not a lot to get excited about.